1. Quit ProFile and any other Intuit software. 2. Open the Windows "Control Panel" and select "Devices and Printers". 3. 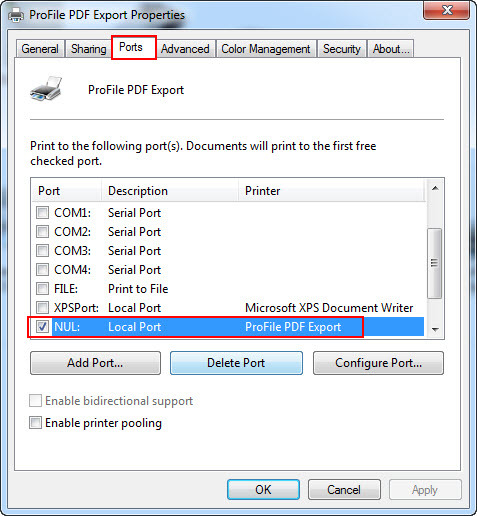 Right-click on the "ProFile PDF Export" printer and select "Remove Device" - the Control Panel window can be closed. 4. Right-click on the ProFile icon on the desktop and select "Properties". If the issue has not been resolved, close ProFile and proceed with the next section below. 1. Exit ProFile if it is running. 2. Open the Windows Control Panel and select "Devices and Printers". 3. Identify the "ProFile PDF Export" printer from the list of printers. 4. 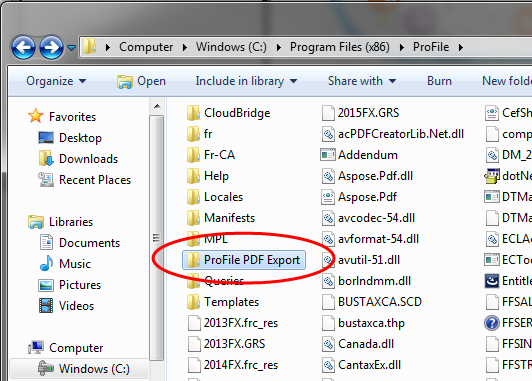 Right-click on "ProFile PDF Export" printer and select "Printer properties" from the menu. 5. Select the "Ports" tab. 7. 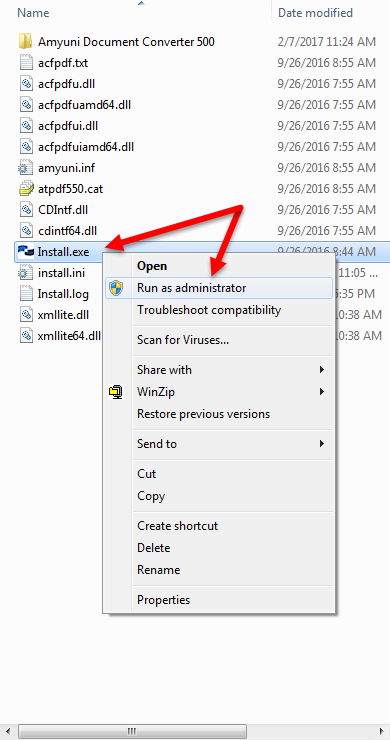 If there are any other printers sharing this port, delete them or move them port to a different port.